If you’re one of the millions of Americans who menstruate, you can probably relate to the hell that is period cramps — hours and hours of low-key, aching pressure that can make even the most chipper person feel downright miserable (at least for a day or two). For most of us, cramps are nagging and uncomfortable, but they are also pretty easy to manage with an ibuprofen or two. However, for some, cramps can be debilitating. How do you know when yours are “normal” and when there might be something else going on? According to Jacquelyn Stone, an OB/GYN at Maven Digital Clinic, “normal” period symptoms are different for every person. Commonly, though, period cramps are at their worst on the first day or two of your menstrual cycle and then drop off significantly after that. Additionally, normal period discomfort can be alleviated with over-the-counter remedies and further lessened with a heating pad. But according to Stone, severe discomfort that lasts for several days and doesn’t go away with an anti-inflammatory (such as ibuprofen) is a sign that something more serious could be going on. Another sign that something is up, Stone says, is significantly heavy bleeding, where you find yourself changing pads more than once every hour. 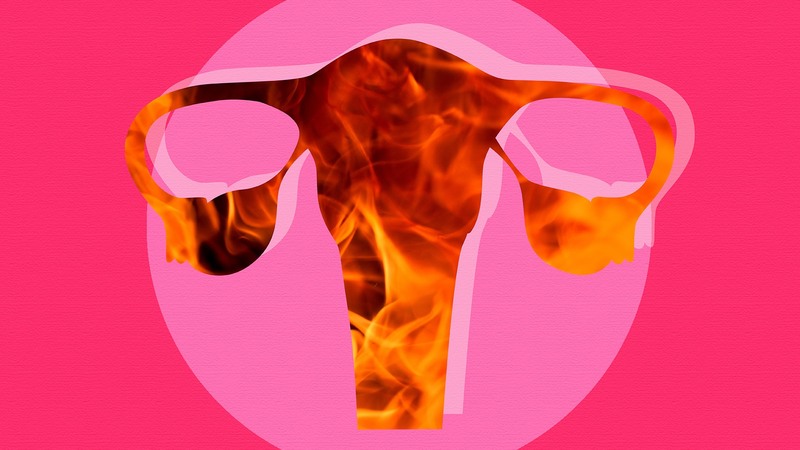 Heavy bleeding accompanied by severe pain that lasts for several days could be a symptom of endometriosis or a related condition called adenomyosis, where uterine tissue grows outside or into the uterine wall. Another culprit of severe pain and heavy bleeding is uterine fibroids. These are benign tumors that grow inside the uterus. Although they are noncancerous, the pain and heavy bleeding that accompanies them can be mistaken for normal menstrual cramps and bleeding. Some uterine fibroids grow so large they actually press on a person’s bowels and bladder, causing constipation or a sensation of urgency where you feel you need to pee. Though normal cramps vary from person to person, they don’t cause constipation or a need to urinate. Cramps are anything but fun. However, any pain that’s sharp, persistent, changes location, lasts more than two days or is accompanied by heavy bleeding or a low-grade fever warrants a consult with your doctor — sooner rather than later.